How do I set an administrator (admin) password on my DCS-2330L? 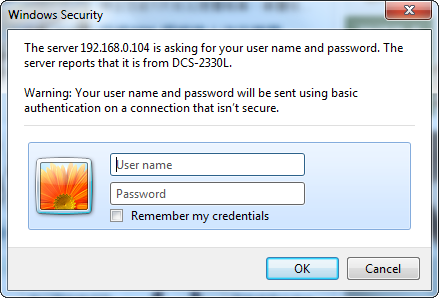 How do I set an administrator (admin) password on my DCS‑2330L? Note: mydlink Cloud Service registration requires the admin password. Step 1: Open a web browser and enter the IP address of your camera in the address bar (default is 192.168.0.20). If you do not know the IP address of your camera, please refer to the section entitled “How do I find the IP address of my DCS-2330L and access the web-based user interface?” in this FAQ. Press Enter. Step 2: The User Name for the administrator account is admin. Enter your administrator password in the Password field. If you have not changed this from the default, leave this field blank. Click OK. Step 3: Click the Maintenance tab at the top of the page and then click Admin from the menu on the left hand side. Step 4: To change the administrator password, enter a New Password under the Admin Password Setting section. Enter the password again in the Retype Password field to confirm. Step 5: Click Save to save the settings. Note: If you forget the administrator password, you will need to reset the device in order to gain access to the configuration interface. 22 lidem se to zdá být užitečné. Omlouváme se! Pro více informací klikněte zde, nebo projděte na podporu.